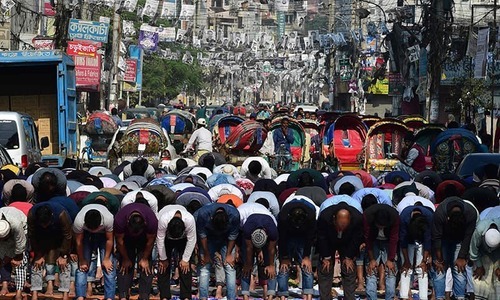 Bangladesh stepped up security on Saturday in a bid to contain violence during a general election expected to see Prime Minister Sheikh Hasina win a record fourth term. Authorities have deployed around 600,000 police, army and other security forces ahead of Sunday's vote, a senior official said, following a deadly campaign marred by clashes. The forces — which also include the elite Rapid Action Battalion, navy, border and coast guards and auxiliary police units — are providing security to some 40,000 election booths. 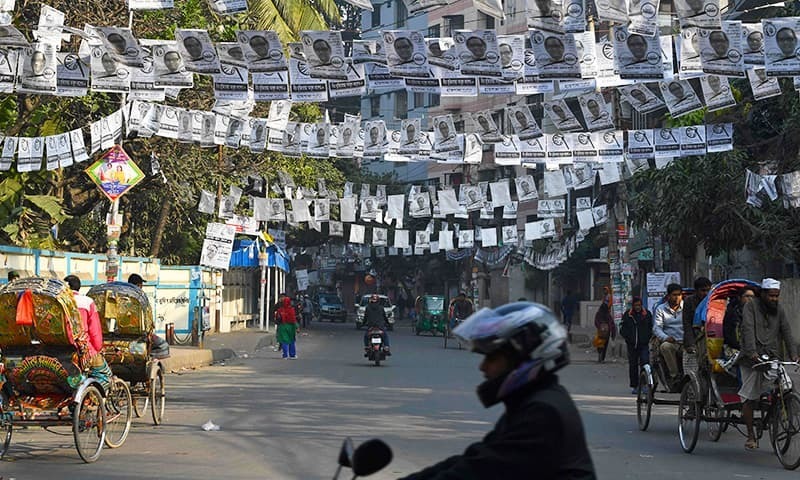 “We have ensured the highest level of security in Bangladesh as per the capacity of the country,” Rafiqul Islam of the election commission told AFP. “We hope there will be a peaceful atmosphere,” he said. Clashes have gripped the Muslim majority country of 165 million in the run-up to the polls. Thirteen people have been killed and thousands injured in skirmishes between supporters of Hasina's ruling Awami League and activists of the opposition Bangladesh Nationalist Party (BNP). 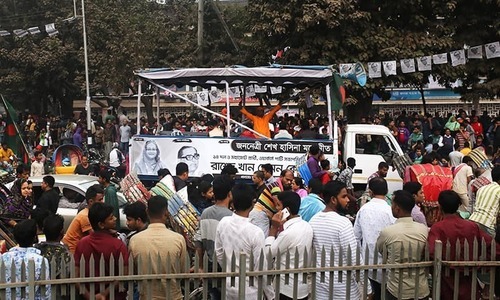 The BNP, which boycotted the 2014 election, says its supporters have been deliberately targeted in a bid to deter them from voting and rig the election in Hasina's favour. The Awami League and BNP are leading their own alliances in the country's 11th parliamentary polls since independence in 1971. The opposition says that some 14,000 of its activists have been detained since the election schedule was announced on Nov 8. It also alleges that around 12,000 activists were injured in attacks by ruling party followers. The ruling party denies the allegation. “We're trying our best to have a free and fair election,” he said. Islam added that authorities may slow down internet speeds on election day in an effort to “prevent the spread of rumours”, that could trigger unrest. The country's telecoms regulator shut down higher speed internet services on Thursday before restoring them on Friday morning. 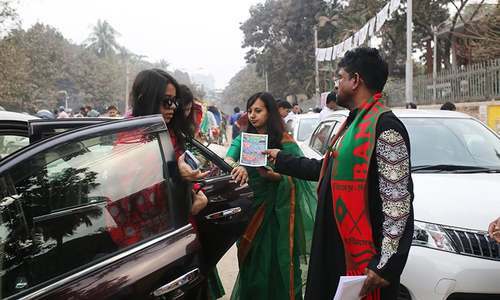 The election commission has also imposed restrictions on public transport and cars on polling day in an effort to maintain security and “conduct the election smoothly”, he said. Massive rigging planned at the big neighbour's behest. Present authoritarian government playing a very dangerous game by silencing voice of the public. But people have overcome fear now. All will see soon. 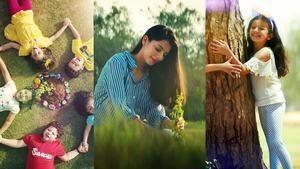 Joy Bangladesh. Brutal crackdown on opponents of Haseena Wajid is a vital part of democratic elections in Bangladesh. Why Bangladesh is maintaining such a large security force? We have ensured the highest level of security in Bangladesh as per the capacity of the country,” Rafiqul Islam of the election commission told" Excellent .let people vote without fear .Let democracy win. Once again, the crooked, cruel, cunning and criminal ruling junta in Dhaka wants to win the general elections scheduled for the penultimate day of 2018, by hook or by crook. 600K troops? That’s enough to Invade a country Is bangladesh going to war with it’s people or what? Bangladesh needs Sheikh Hasina-led Awami League for its continued progress. @M. Emad, "Brutal crackdown on opponents of Haseena Wajid is a vital part of democratic elections in Bangladesh." Brutal crackdown on opponents is "democratic elections"? You always make such inane comments! As long as terrorism is not breeding in Bangladesh, any elected government is fine.